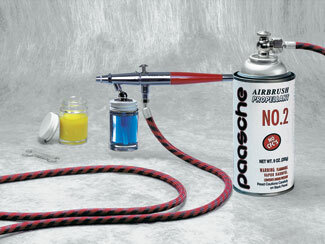 This airbrush spray kit is ideal for hobby or industrial work where a compressor or electricity is not available. 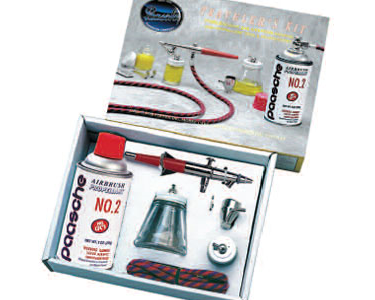 Terrific beginner set! The Pressure Tank contains a gas that will not harm the Earth's atmosphere.